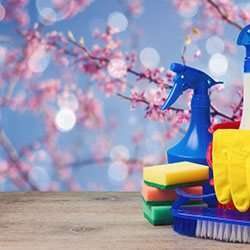 If you’re looking for the most thorough cleaners Artarmon has to offer, look no further than the team at Merit Cleaning. From home cleaning solutions to office cleaning in Artarmon, we will take the mess off your hands and let you focus on what matters most. For the most affordable, friendly and professional cleaners Artarmon homes and businesses trust, talk to our team today. Our professional cleaning company offers a broad range of commercial cleaning services in Artarmon and the surrounding Sydney suburbs. Is your office looking dusty, dirty, or poorly presented? Give your employees and productivity boost and impress your clients with the best office cleaning Artarmon has to offer. Our professional cleaners will come into your office and clean every surface, from glass doors to desks, as well as vacuuming and mopping floors. Our office cleaning in Artarmon can make your kitchen, bathroom, and other common areas shine while also reinvigorating your main workspace. Looking for the most affordable residential and house cleaning services in Artarmon? Instead of searching for “house cleaner near me”, simply pick up the phone and call Merit Cleaning. Our professional and friendly cleaners in Artarmon can take care of every surface and room in your home. Simply tell us what you need cleaning and Merit Cleaning will get the job done. We truly treat each property as our own and offer everything from one-off cleaning to ongoing services. So whether it’s strata cleaning, spring cleaning or end-of-lease cleaning, our team is here for you. Ask us to create a customised cleaning plan for your home today. For more information about our professional cleaners, Artarmon residents can call us on 1300 063 748.